After a long-haul flight, it's very handy to have an idea of what to expect when you land at your African destination. Prices of taxi or bus rides from the airport to the town center are not included since rates fluctuate daily. Find a local passenger on your flight and ask them the going rate before landing. Many African countries levy a departure tax that usually has to be paid in USD. Sometimes the tax is included in the price of your ticket, but sometimes not. Make sure you have at least $40 USD in the pocket before you arrive at the airport. Angola has one major international airport just outside the capital Luanda. Location of the Airport: 2 miles (4 kilometers) south of the capital Luanda. The domestic terminal is next to the International terminal. Getting to and From the Airport: Organize your transport through a hotel, taxis are not always available. Botswana has one major international airport just outside the capital, Gaborone. Getting to and From the Airport: You may have to wait a while for a taxi, most transports to and from the airport are courtesy mini-buses from high-end hotels. Ask for a lift from one of them if there are no taxis available. Note: Major car rental companies operate out of the airport, there's also a bank and a restaurant. Most international passengers will arrive in Cairo or Sharm el-Sheikh. Tours will often include a domestic flight to Luxor. Location of the Airport: 12 miles (20 kilometers) northeast of the city center. Getting to and From the Airport: Taxis are plentiful and haggling over the price is normal. Buses and mini-buses (much cheaper) depart from both terminals and end up in the center of town at Midan Tahrir, the transport hub of Cairo. Note: Two main terminals handle most of the traffic in and out of Cairo. Exchanging money, car rentals, hotels, and tours can be arranged from a variety of operators at the airport. Getting to and From the Airport: Taxis are plentiful and haggling over the price is normal. Most people arriving here are on holiday packages and transport to and from the airport is usually included. Location of the Airport: 4 miles (7 kilometers) from the city center. Getting to and From the Airport: Taxis are plentiful and haggling over the price is normal. There's conflicting information about a local bus service to and from the city center—take a taxi instead. Note: Car rentals, tour bookings, hotel reservations are all available at the airport. Ethiopia has one major international airport outside the capital city, Addis Ababa. Location of the Airport: 5 miles (8 kilometers) southeast of the city center (Addis Ababa). Getting to and From the Airport: Taxis are available as well as regular minibusses and coaches to and from the city center. Note: Car rentals, hotel bookings, Bureau de change and a tourist help desk are all available at the airport. Ghana has one major international airport outside the capital city Accra. Location of the Airport: 7 miles (12 kilometers) from the city center (Accra). Getting to and From the Airport: Metered taxis have a fixed rate to and from the airport. Tro-tros and shared taxis are also readily available. Note: Bureau de change and a tourist office are located in the airport. Kenya's main international airport is just outside the capital, Nairobi. Mombasa on the coast is a popular entry point for charter flights from Europe. Getting to and From the Airport: A Metro shuttle bus will drop you off at hotels in the city center during the day. Taxis are plentiful day and night; you can book a public taxi at the information desk at the airport. Note: Many domestic flights and flights to Kilimanjaro (Tanzania) depart from Wilson Airport. Getting to and From the Airport: Taxis are readily available and the fare is officially at a fixed rate, although you'll have to bargain to get it. Note: Most international flights in and out of Mombasa are charter flights. Libya has one major international airport just outside its capital, Tripoli. Location of the Airport: 21 miles (34 kilometers) from the city center of Tripoli. Getting to and From the Airport: Taxis and shared taxis are readily available. Most tourists will be visiting Libya on a tour and usually, transport will be pre-arranged to and from a hotel. Madagascar has one major international airline near its capital, Antananarivo. Location of the Airport: 9 miles (14 kilometers) north of the capital Antananarivo. Getting to and From the Airport: Taxis are readily available at the airport, try and get an official taxi since the drivers have more knowledge of the whereabouts of the main hotels. Malawi has one major international airport outside its capital, Lilongwe. The country's commercial capital, Blantyre, also has an airport used primarily for regional flights. Location of the Airport: 12 miles (24 kilometers) north of the capital city, Lilongwe. Getting to and From the Airport: An airport shuttle bus takes passengers to the main hotels in town and leaves every half hour during the day. Taxis are also available. Local transport (buses and minibusses) will take you to the center of Old Town. Note: Bureau de change, restaurants, post office, car rental and tourist information is available at the airport. Location of the Airport: 9 miles (15 kilometers) north of the city center, Blantyre. Getting to and From the Airport: Taxis are available, you'll be bargaining for a good price. Local buses pass the airport on their way into town outside the airport gates. Mali has one major international airport outside its capital, Bamako. Location of the Airport: 11 miles (17 kilometers) south-west of the city center (Bamako). Getting to and From the Airport: Taxis are readily available from the airport, those with a "taxi" sign on top are shared taxis and will be cheaper. Note: Mopti (airport code: MZI) is a popular small airport in Mali for tourists interested in visiting the Dogon Region and Timbuktu. Mauritius lies in the Indian Ocean and has one major international airport in the southeastern part of the island. Location of the Airport: 26 miles (41 kilometers) from the capital Port Louis. Getting to and From the Airport: Taxis are readily available as well as car services to all parts of the island from the airport. Most hotels offer transfers to and from the airport. 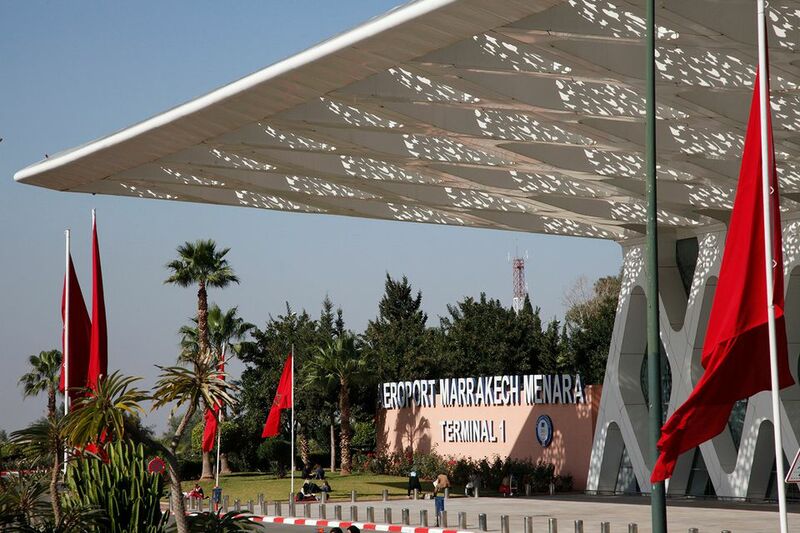 Morocco has several international airports; its main one is in Casablanca where you'd fly into from North America. Getting to and From the Airport: A regular train service goes to and from the airport from 7 a.m. to 11 p.m. A shuttle bus is also a good option and operates from 7 a.m. to midnight traveling to and from Casablanca's main bus terminal in the center of town. Taxis are readily available, make sure you state the hotel you wish to go to, fares are fixed. Note: Exchanging money, car rentals, hotels and tours can be arranged from a variety of operators at the airport. Location of the Airport: 4 miles (7 kilometers) outside of the city center. Getting to and From the Airport: Private taxis and shared taxis are readily available at the airport. If you're staying inside the walls of the old town you have to take a private taxi (shared taxis aren't allowed to drive in). A local bus service stops just outside the airport as well and drops people off at the many city squares. Note they don't change traveler's cheques at the airport, just cash, but there is an ATM machine. Mozambique has two international airports one in Maputo and the other in Beira. Travelers are most likely to fly into the capital Maputo (in Southern Mozambique). Location of the Airport: 4 miles (7 kilometers) northwest of the city center. Getting to and From the Airport: Taxis are readily available and the fare should be at a fixed rate. Some high-end hotels have shuttle buses that pick up passengers from the airport. There is local transport available as well that will drop you in the center of town. Note: The Maputo airport has car rental facilities, a bank, and some shops. Beira, Mozambique's second largest city has an international airport as well (airport code: BEW). Namibia has one major international airport just outside its capital Windhoek. Location of the Airport: 28 miles (45 kilometers) east of the capital Windhoek. Getting to and From the Airport: Shuttles, taxis and car rental agencies provide transportation to the city center from the airport, it takes about 30 minutes. Note: Car rentals, a bank, shops, and restaurants are at the airport. Domestic flights leave from Eros Municipal Airport (airport code: ERS) which is 3 miles (5 kilometers) from the city center. Nigeria is a big country and has the largest population of any country in Africa. Infrastructure isn't great, so flying domestically is a popular way to get around quickly (be prepared for chaos). Nigeria has several major airports, including Kano (in the North) and Abuja (the capital in Central Nigeria) but the international airport most visitors are likely to arrive at is just outside the southern city of Lagos. Location of the Airport: 14 miles (22 kilometers) North West of the city of Lagos. Getting to and From the Airport: It's advisable to take a taxi from the airport, local transport can be a bit overwhelming after a long flight. Be prepared to haggle for a decent fare. National Airline: Defunct Sept 2012. A popular vacation destination for many Europeans, Reunion Island is situated in the Indian Ocean near Mauritius. There is one major international airport servicing the Island. Location of the Airport: 5 miles (8 kilometers) from the center of St Denis, the Island's capital. Getting to and From the Airport: There's a regular shuttle service between the airport and the main bus terminal in the center of St Denis. From there you can catch a bus to all parts of the island. Taxis are also available. Note: Banks, restaurants, and car rental services are available at the airport. The Euro is the currency on the island. Getting to and From the Airport: Taxis are readily available as well as minibusses which will take you to the center of town. Note: The airport has car rental services, a tourist office, and a bank. Senegal has one major international airport situated just outside the capital Dakar. South African Airways has daily direct flights from the New York to Dakar and Delta has flights from Atlanta to Dakar. Location of the Airport: 17 miles (11 kilometers) from the capital Dakar. Getting to and From the Airport: Taxis are available at the airport, there is an official rate to the center of town but you'll have to bargain hard for it. Note: Banks, car rental agencies, and tour operators are at the airport. The Seychelles main international airport is situated on the biggest island, Mahe. Location of the Airport: 6 miles (10 kilometers) from Mahe's main town of Victoria. Getting to and From the Airport: Taxis are readily available at the airport, you'll need to bargain over a good fare. Most hotels and resorts will have pre-arranged your transfers to and from the airport. Note: Praslin Island (airport code PRI) is a popular destination in the Seychelles and has a busy domestic airport, where helicopter rides are a popular way to get around. South Africa has two main international airports in Johannesburg and Cape Town. Durban also has an international airport used mainly by regional airlines. South Africa has several budget airlines that fly regionally. Location of the Airport: 14 miles (22 kilometers) east of the city of Johannesburg. Getting to and From the Airport: There are plenty of options to choose from. Metered taxis are readily available. Hotel shuttle buses will transfer you to your hotel if you have a reservation. There are minibusses which you can book upon arrival to take you to your destination in the city of Johannesburg. Note: Car rentals agencies, banks, restaurants, hotel and tour operators are all available at the airport. Location of the Airport: 14 miles (22 kilometers) from the city center of Cape Town. Getting to and From the Airport: Metered taxis and shuttle buses are readily available. Car rental agencies are all represented here as well. Location of the Airport: 10 miles (16 kilometers) from the city center of Durban. Getting to and From the Airport: Airport shuttle services and metered taxis are readily available to take you into town or beyond. Getting to and From the Airport: Public buses run throughout the day and connect the airport to the city center. Hotel shuttle buses are also widely available if you have pre-booked your rooms. Taxis are parked outside the terminal; you'll need to bargain for the right fare. National Airline: None, although Precision Air is Tanzania's largest airline, (Air Tanzania is defunct). Note: There is banks, restaurants, and car rental services available at the airport. Getting to and From the Airport: Most of the bigger hotels have shuttles running to the airport from Moshi and Arusha. Charter companies also have shuttles connecting their flights to the game parks with the KLM flight that arrives here. Taxis are available but they are not metered, so you have to bargain. Most international scheduled flights to Tunisia arrive at the international airport just outside of Tunis. Tunisia is a big beach holiday destination for Europeans and many charter flights also land in Monastir (airport code: MIR), Sfax (airport code: SFA) and Djerba (airport code: DJE). Getting to and From the Airport: Taxis and buses are readily available to take you into the center of town. You'll have to bargain for your taxi fare. Note: Car rental, banks, and restaurants are located at the airport. Charter companies usually arrange your travel to and from the airport. Uganda has one international airport outside of Entebbe which is still fairly close to the capital Kampala. Location of the Airport: Just outside the town of Entebbe on Lake Victoria and 21 miles (35 kilometers) from Kampala, Uganda's capital. Getting to and From the Airport: Hotels have their own shuttle services to and from the airport. Taxis are readily available but keep in mind it will take about an hour to get to Kampala. National Airline: None in operation as of 2017. Note: ATM's, banks, restaurants, tour operators and shops are at the airport. Zambia has one major international airport outside its capital, Lusaka and a smaller airport in Livingstone (airport code: LVI) which is used for regional flights. Getting to and From the Airport: Taxis are readily available but you'll have to bargain for a decent fare. The more expensive hotels meet the international flights with courtesy minibusses. Note: Car rental companies, tourist information, banks and a restaurant are located at the airport. Zimbabwe has one major international airport located just outside the capital city, Harare. Location of the Airport: 7 miles (12 kilometers) southeast of Harare. Getting to and From the Airport: Taxis and shuttle buses are available to take you into the town center. Note: A bank, shops, car rental services and a restaurant are at the airport.